A place where your brand name and customers meet: outdoor advertising is the primary source of identification for more than eight out of ten people and prompts more than one out of two people to visit a store. A medium that enhances customer perception: 53% of consumers consider outdoor advertising to be a real asset within the store's information offer. Information consumers expect: information on how to reach your point of sale, special offers, opening hours and special event days is greatly appreciated in nine out of ten cases. Choice locations: give yourself a second storefront in strategic locations along major roads, at the heart of everyday living and transit areas, near a shopping district, etc. Or why not near your competitors? More customers in your point of sale: two-thirds of consumers say that they look at directional signs in order to find their way around. Create a buzz: surprise your customers by livening up everyday living and mobility environments and by putting on a show! 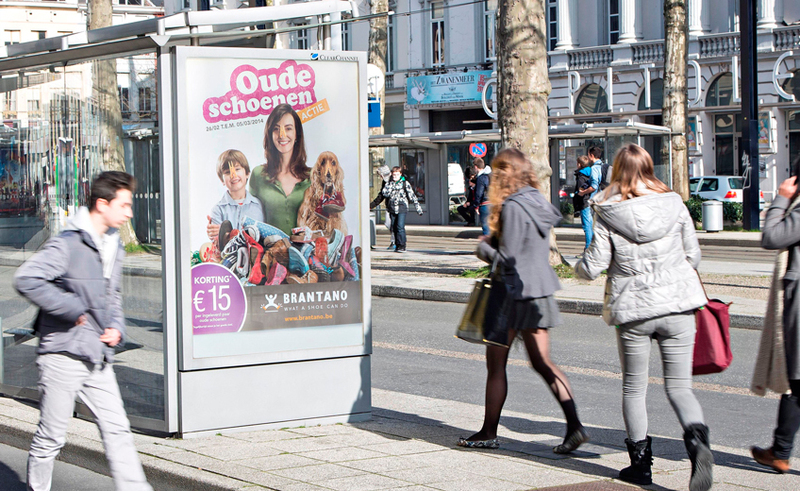 Guaranteed visibility: the size of the advertisements and the strategic locations mean that outdoor advertising is a medium you can't ignore. 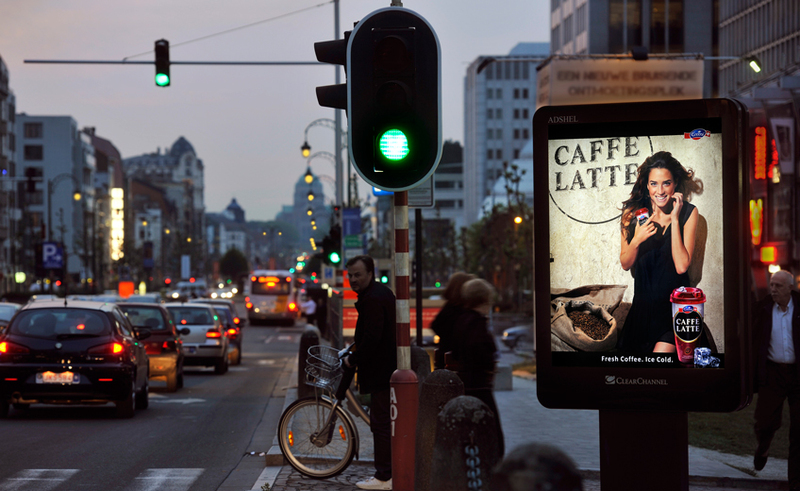 Some 88% of consumers have seen an outdoor advertisement in the 30 minutes prior to their purchase. Real persuasive power: 72% of consumers who have seen an outdoor advertisement in the previous 30 minutes consider looking for more information on the products advertised. Around 59% say that this increases the probability of them making a purchase. 24/7: your brand name is nearby, accessible and visible. Because a campaign stays on display seven days a week, you benefit from repetitive exposure in your area. 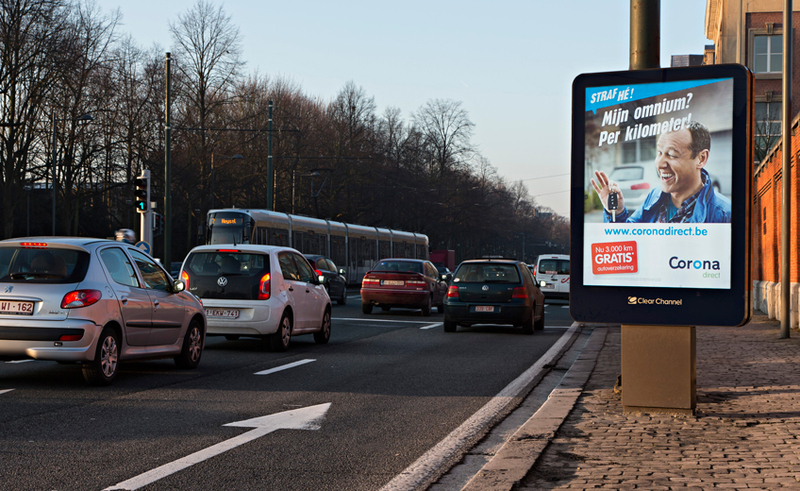 Stand out from your competitors with outdoor advertising: affordable budgets, a very large format on high-quality and backlit furniture, a very local medium with 24/7 visibility.